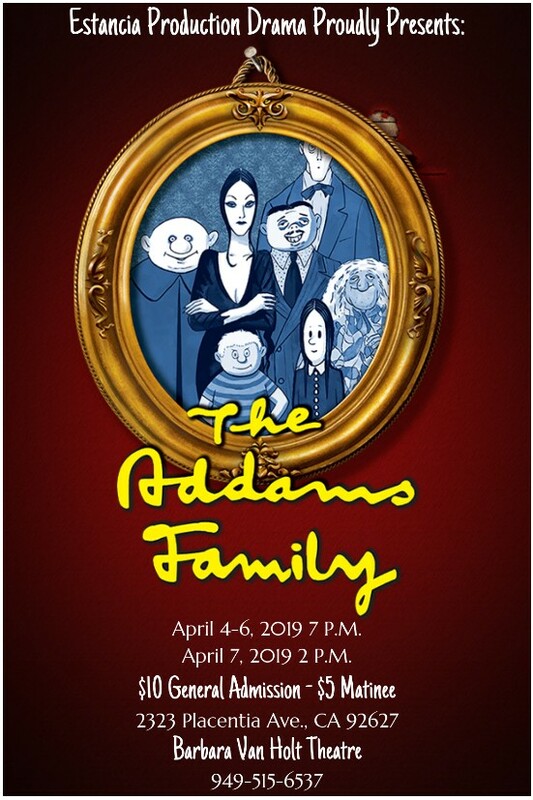 Estancia High School Production Drama presents The Addams Family April 4-6 at 7 p.m. and April 7 at 2 p.m. in the Barbara Van Holt Theatre at Estancia High School. Tickets are $10 for general admission or $5 for the matinee on April 7. Tickets are available for presale at the ASB Student Store and also available at the door. Please see the attached press release for more information.